If your surgery is planned in advance (not an emergency), your surgeon’s office will set up an appointment with the Admission Testing Center for pre-admission testing at the hospital. You may hear this pre-admission testing area called ATC (Admission Testing Center). This appointment will be 1-3 weeks before your surgery. Plan to be at the hospital for at least 2-2½ hours for this visit. 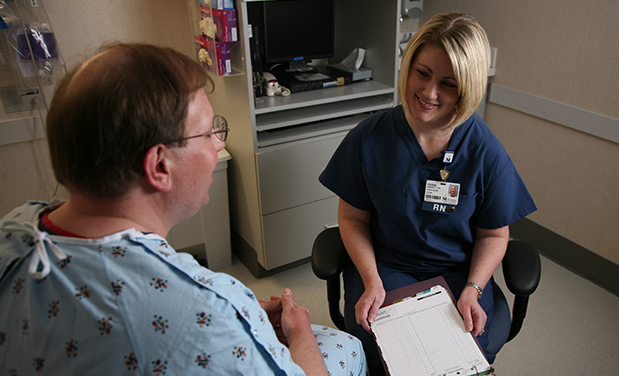 During this visit, you will be given information about your hospital stay. You may have blood drawn, an electrocardiogram (EKG) or other tests your doctor may have ordered. You will also be seen by Anesthesia during this visit. During your ATC visit you will be given pre-surgical bathing instructions. You will also be given nutritional supplements during this visit. ERAS-Colon Surgery Booklet - Keep all of your information in one place to prevent losing important materials. Your Healing Partner - If possible, arrange for a friend or family member to be your Healing Partner. Most patients do better if someone they know spends time with them and coaches them following their surgery. Your nurses will be able to explain to this person how to best help you before and after surgery. It would be helpful if your Healing Partner comes with you for the pre-admission testing visit. Cards - Insurance cards, driver’s license and identification cards for pacemakers or Implanted Cardiac Defibrillators (ICD’s), if you have one. Health Care Power of Attorney/Living Will or Guardianship papers - If you have any of these, please bring a copy to your ATC visit. Cough and deep breathing exercises are important to do after surgery to help keep your lungs clear. Practice this exercise at home before surgery, especially if you have been or are currently a smoker. Plan to do cough and deep breathing exercises after your surgery every hour while awake. Position – Sit on the side of your bed or in straight-backed chair. Get a foot stool to support feet if they do not touch the floor and lean slightly. After surgery, you can do this exercise while lying in bed with your knees bent to help support your stomach muscles. Splinting – After surgery, you can ‘splint’ your incision while you cough. Hold a small pillow over your incision and press gently while you cough. You can also place one hand above and one hand below your incision while you cough. Coughing – Take a slow, deep breath by breathing in through your nose and out through your mouth. Do this 3 times. With the third deep breath, hold it and then cough 2 or 3 times. Repeat this series of deep breaths at least 3 times. It is important to eat well-balanced meals before your surgery. Smart food choices can keep you healthy and get your body ready to heal .You can add nutrition supplements two times a day during the week before surgery. These can include Ensure, Boost, or Carnation Instant Breakfast. If you are diabetic, then choose Glucerna, Boost Glucose Control, or Low-Sugar Carnation Instant Breakfast. You can also make your own nutritional supplements by mixing whey protein powder with milk. Your doctor may ask the dietitian to help you with your diet. After only 12 hours without smoking, your heart and lungs will start to work better. Smoking increases the risks of surgery, including the risk of breathing problems after surgery. Smoking can make wound infections more likely and can slow down healing after surgery. Do not smoke for at least 24 hours before surgery (2 weeks or even longer is recommended). The longer you go without smoking the more benefits. You will not be allowed to smoke while you are in the hospital. If you would like help to quit smoking before coming to the hospital, call 1-888-QUIT-NOW (1-888-784-8669) for the free local tobacco quit line or talk to your primary care provider. You have questions about any instructions you have been given. You develop a cold, a fever or a new cough. You have a cut, a burn or a rash near the site where your surgery will be. You have any nausea/vomiting, shortness of breath, or chest pain. 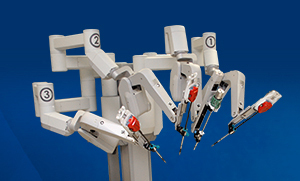 Now talented surgeons have access to cutting-edge precision that surpasses the dexterity of the human touch.